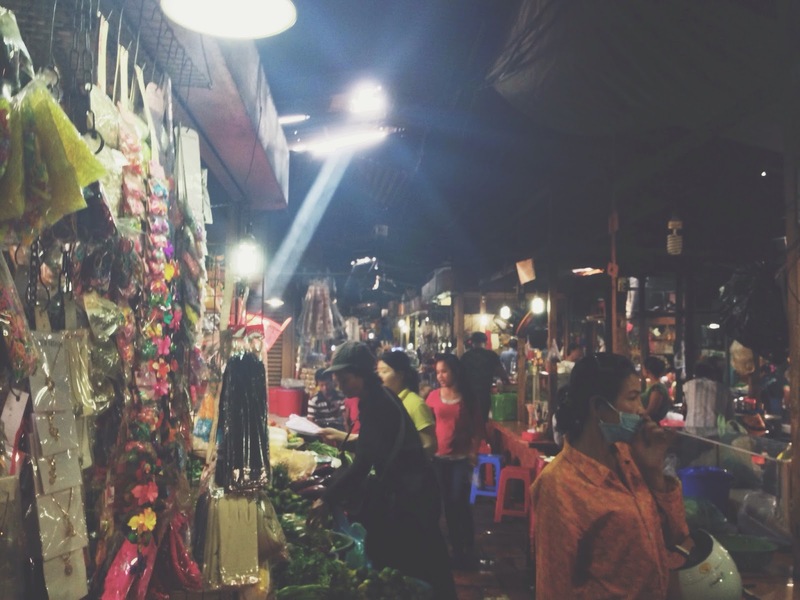 Tuol Tom Poung, also known as the Russian Market, is a large covered market in Phnom Penh. Hundreds of vendor stalls are crammed together, connected by narrow, maze-like corridors. There’s no way a person of even above-average navigational abilities could get around in this labyrinth. To put it mildly, I am not possessed of above-average navigational abilities. My strategy for maneuvering through the complex was to arbitrarily choose to go either left or right (I could reverse my decision if the smell of raw meat hanging in the warm, poorly ventilated market was too strong around that particular corner), keep going until I saw daylight and then walk around the perimeter of the market until I got to the street I needed to be on. Believe it or not, there are Cambodians who get around Tuol Tom Poung like they get around their own house. It makes sense to them. The market isn’t laid out like I would lay it out, but just because I can’t see the wisdom of the market doesn’t mean that it is random. God's wisdom can seem like this market to me. I recently preached a sermon from 1 Corinthians 1:18-2:5. (You can check out the whole sermon here.) The passage reminds me that God’s wisdom doesn’t always line up with my own wisdom. God's plan can seem random, or at least inefficient. However, I have been reflecting on these verses from 1 Corinthians and seeing new ways that they apply to missions, Cambodia and my calling. Below are a couple of my reflections. I can't imagine why God would have chosen me to be a part of his movement in the world. I can't imagine why God would pick most of the people I go to church with either (no offense if I go to church with you). This rings especially true for me in the context of Cambodia. Most of the new Christians in Cambodia are poor farmers and villagers. Why would God start there? They don't seem like much, yet they are at the forefront of this incredible movement of the Holy Spirit. I have tremendous respect for these sisters and brothers who are responding to the call of a God whom their culture has not previously had any concept of. I'm excited that their lives and callings are about to become intricately woven into the story of my own life and calling. Paul came to Corinth in fear and trembling and without eloquence so that the cross could do the talking. That looks like it will be my only option, as well—I currently know only two words in Khmer, and even those are iffy. 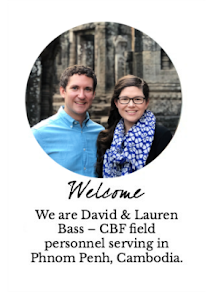 Why would God's plan to redeem Cambodia start with poor villagers and include me dropping my life in the US to go to a place where I don't know the language or culture? And yet, the Spirit is moving in Cambodia and giving me an unmistakable summons to join in. God's wisdom is often upside down. Common sense says to wait to jump into doing God's will until we can figure out exactly how God's wisdom is at work in the situation. We don't usually figure that out until after the fact, though. So I'm going to do something crazy. I'm not going to wait until I have it all figured out. I'm going to jump into God's plan now—as best as I can discern it at this time—even though the wisdom of the plan feels less logical than the corridors of the Russian Market. Maybe that is just plain foolishness. Only one way to find out. Here goes.